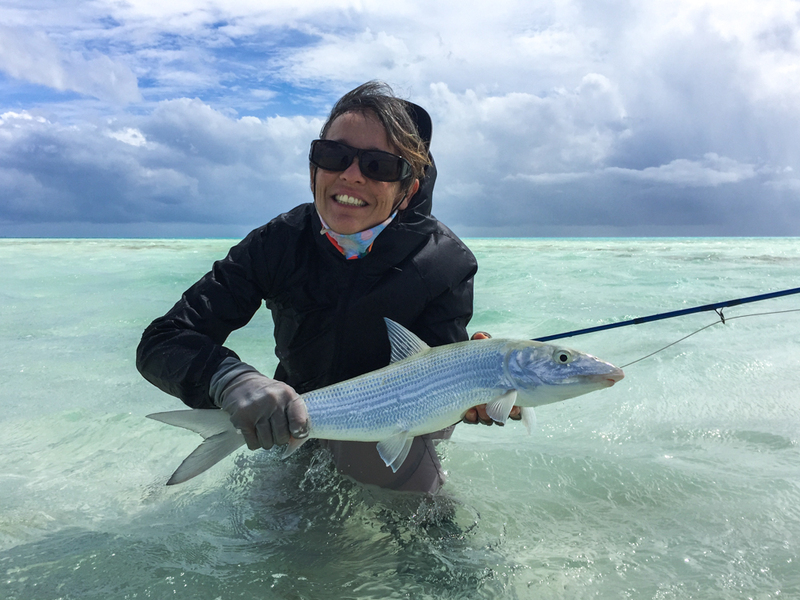 Alphonse Island and St. Francois lagoon boast an impressive number of different species that are readily available to target on fly ranging from the ferocious Giant Rrevally to the speedy Bonefish. 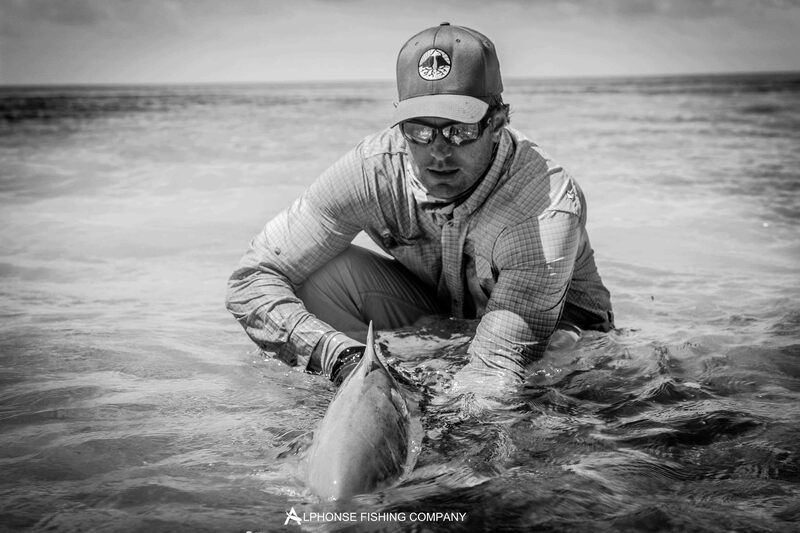 High up on the priority list for many Alphonse anglers sits the lesser-known Triggerfish, a feisty yet challenging adversary. 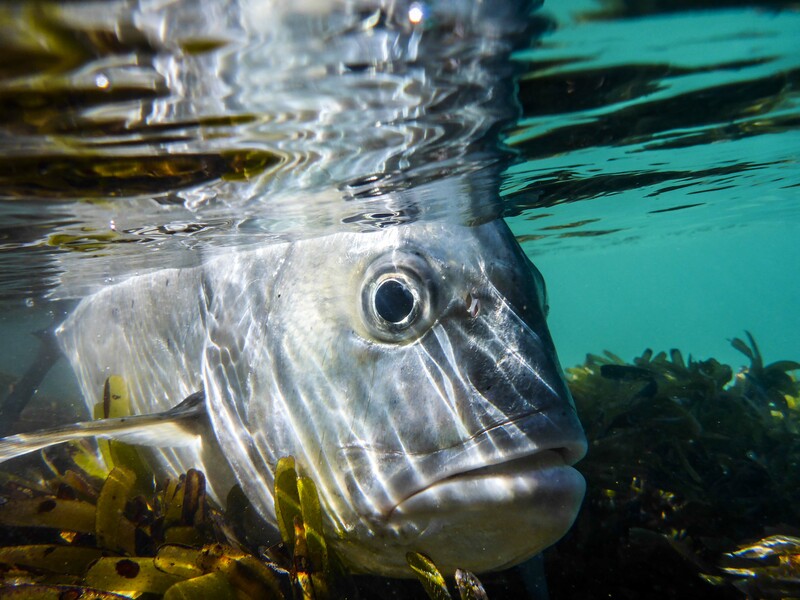 From a fishing guide’s perspective, they are one of the most interesting and fun fish to target. Despite looking out of place on the flats with their bright colours and odd shape, these fish are an opponent not to be taken lightly. This week presented many opportunities to target both species of Triggerfish both in the surf and on the finger flats bringing plenty of tales of misfortune alongside some epic battles and happy anglers. The remnants of the Madagascar cyclone brought some less than favourable weather during the week making fishing at times rather tricky. Even with the conditions were pleased to see the return of the Wild Fly, Reel Africa and Inside Angling crews who were here to film some episodes for their shows. They wasted no time in getting off the mark with Gareth G landing a nice Moustache Triggerfish on the very first day. Not far behind was Christopher S who landed his first ever Yellowmargin Triggerfish. 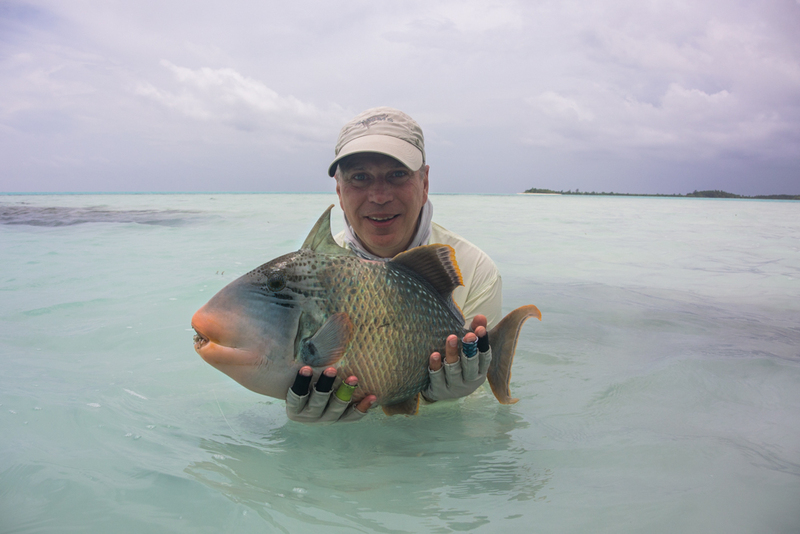 Leonid R, who had fished St. Francois last season, also joined the guides on the flats this week. 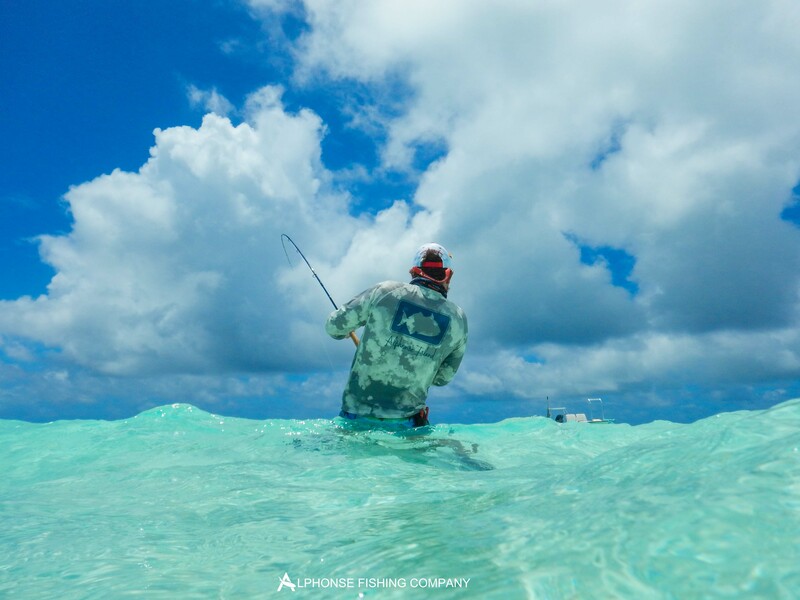 Leonid had some run-ins with Triggerfish on his previous trip, which always ended up with broken leaders and shattered hooks but on this trip, he got his own back landing not only one but two big Yellowmargin Triggerfish in two days. 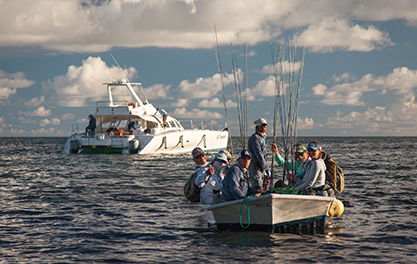 The Bonefishing was as it always is a constant phenomenal with 415 landed for the week. A big congratulation must go out to Raymond P who joined the Alphonse team on the flats for the first time ever. An avid trout and salmon fisherman, Raymond got stuck into the Bonefish straight away landing 20 in one day making him a member of the 20+ club. He further sweetened his day when he managed to get his hands on a large Yellowmargin just shortly after. At the end of the week a total of six Triggerfish were landed. The offshore fishing this week was phenomenal with 10 Sailfish and 6 Wahoos being landed on fly and many more on conventional tackle. Mark De La H who is a highly accomplished bluewater angler caught his first ever sailfish on the fly which he later bettered by catching two more along with two Wahoos. Craig T was not far behind landing two sailfish and four Wahoos.